Meet the International Turning Exchange residents at Uarts on Saturday, July 15th. They will be showing finished work and works in progress, as well as demonstrate many of the techniques they use. 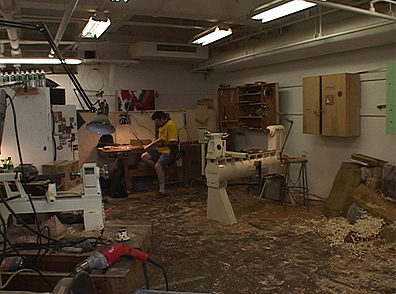 It will take place in the Wood Working Department at the University of the Arts located in Anderson Hall, 333 South Broad Street, Philadelphia on the 4th Floor. There is a $20 fee which includes lunch. Reservations are needed due to limited space. Visit the Wood Turning Center’s website for additional information and to make reservations. Or you can call 215-923-8000.